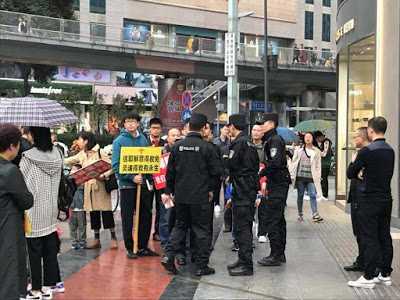 (China Aid) — Despite ongoing attacks from authorities, members of Early Rain Covenant Church have continued to preach on the streets. On Nov. 14, 10 Christians were evangelizing in public when police took them away. The detained were taken into custody as they handed out Christian fliers during a Bible study and were not released until the following day at 2:30 a.m. While at the police station, national security officers and personnel from the local religious department interrogated them.